Poison Girls | Дай зин! Did you know that it's technically illeagle to have sugar, (in the larder? ), and weed killer (in the greenhouse/), watch out for the Great Fanny Craddock/Percy Thrower conspiracy trial!!! 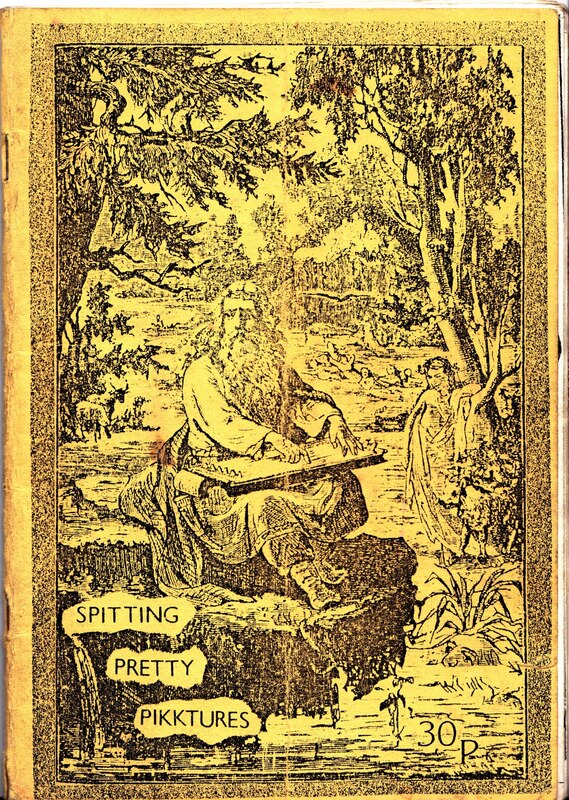 Ok, so I've done a bit of feeling about and I have it on good authority, Toxic Graffitti #3 was the first TG - Mike Diboll's earlier effort was titled No Real Reason - I often wondered about that '(inc. N.R.R.)'. N.R.R. 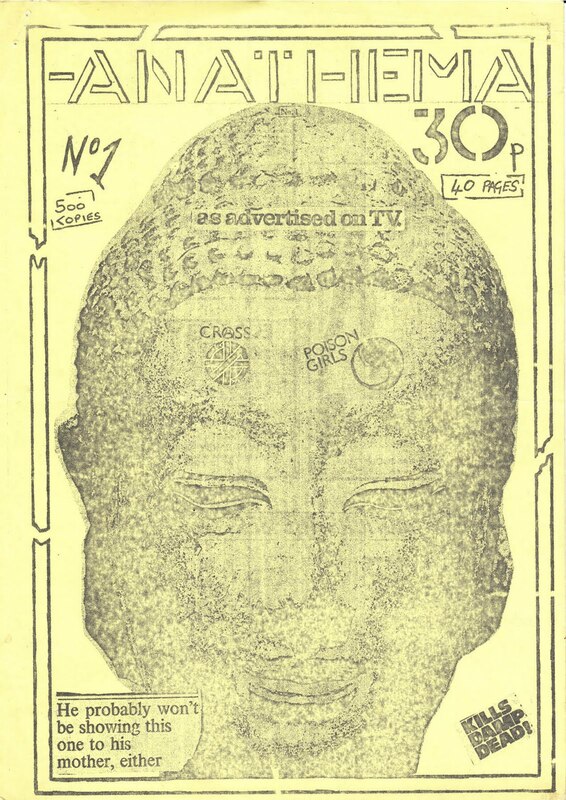 ran to 2 editions - TG#3 includes details of Mike's encounter with the police and the seizure of N.R.R.#3. 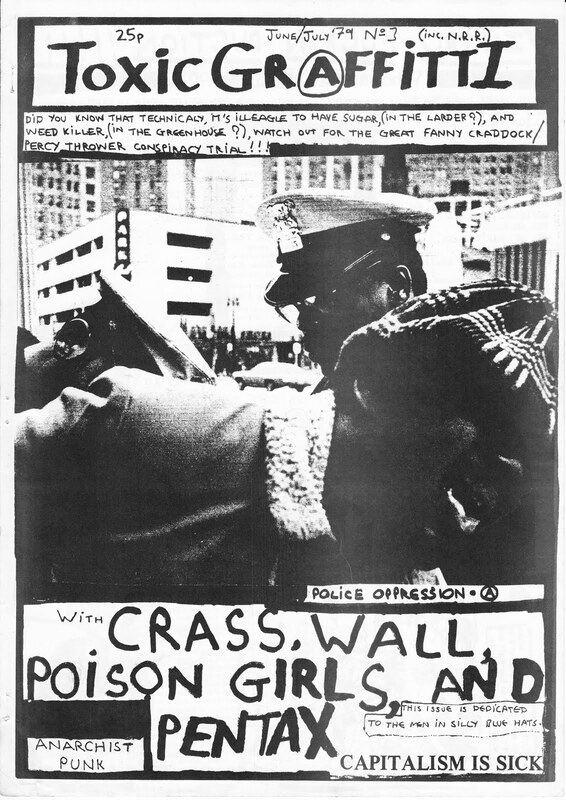 Elsewhere there are nice extended interviews with Crass and Poison Girls - top flight stuff. Also, encounters with The Wall and Pentax. Articles on: the Birmingham Punk Scene (The Prefects, Anti Social, Steel Pulse, Mosiah + more) by Nick Alatti; My (MVD's) Anarchy; Police Harassment; British Fascism (NF)/Institutional Racism, and the Diary of a Nobody (Pope bashing). 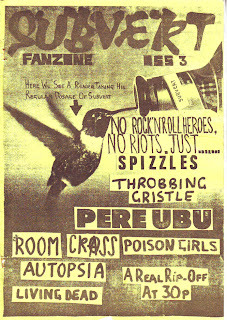 There's a neat little fanzine round-up, and reviews of 7"s by The Visitors, The Ruts, The Clash, Hollywood Brats, 4 Alternatives EP (Joe Public, The Numbers, X-Certs, 48 Hours), Barry Andrews, Essential Logic, Penetration, and The Smirks. Excellently narky throughout. early 80's classic from Keighley! 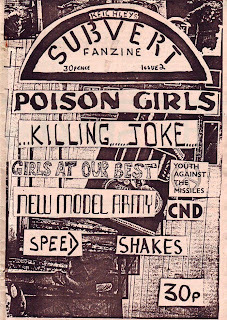 - includes Spizzles, Poison Girls, Pere Ubu, a happening letters page, zine and rec reviews and more..
quality little zine this, ints w/ Killing Koke, Girls at our Best, New Model Army, Poison Girls.. It's high time we had an In The City. I've got a fair few of these to post and I'll do them occasionally. 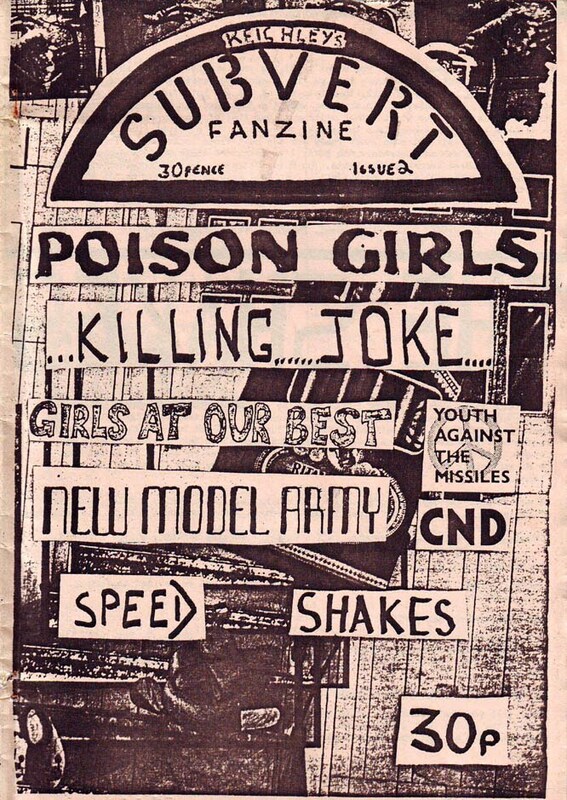 Definitely one of the more attractive fanzines was ITC - the Poison Girls' pages in here are superb looking - some nice use of colour. 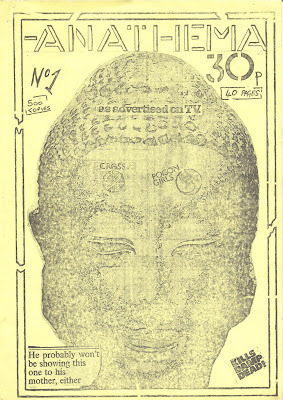 But it's the written content that really made it - loads of credit to Peter Gilbert and Francis Drake. 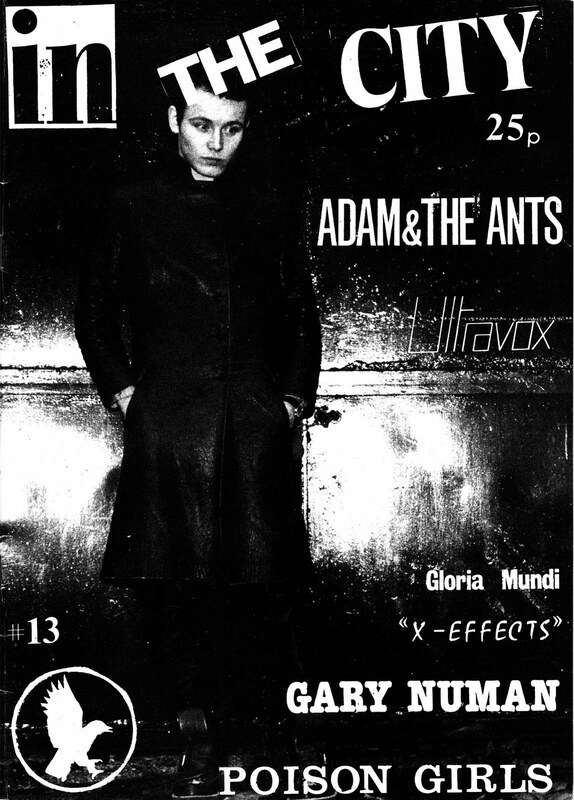 Given his ubiquity at the time this surprisingly is the first fanzine posted on EE to feature Adam Ant on the cover. 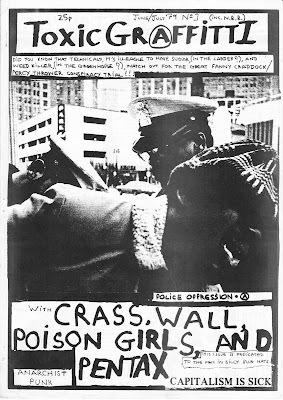 Issue #13 also has: LPs - Crass (full page), Augustus Pablo, Creation Rockers Vols. 1-6 (VA), Rebel Music (VA), Punishment of Luxury, Talking Heads, Earcom 2 Comp', Cabaret Voltaire, The Carpettes, Poison Girls, Avon Calling (Bristol Comp), This Heat, The Slits, The Damned; Poetry - review of Annie Anxiety's, Eyes Of The Blind; Letters (incl 1 from Steve Ignorant in response to a query about Crass' advocacy of anarchy); Live - The Adverts/Cowboys International/Cuddly Toys, The Ruts/The Pack; ITC charts + 1 page The Ramones competition results article. В нашем центре Опытные психологи окажут помощь в решении душевных проблем.